After 2 weekends of camping with the new truck camper, it was time to get back up to Tahoe to check things and turn on the sprinklers for summer. Alpine Meadows was still open, so I decided to get one more day in. Both Summit Six and Roundhouse were open with a lot of bowl terrain and 3 or 4 groomed runs. It was windy and fairly cool, so the snow stayed in good enough shape that I was able to get 20,000 vert in. This brings the total # days this year to 33, beating last year by 1 day. We skied Alpine on Mother’s day a few years ago and there was so much more snow that year. They were reporting a 5″ depth at the base today, which is really hard to argue with since there was a thin path of snow they had to extend a few hundred yards from the bottom of the snow line to get to the lifts. Still, it was fun and definitely worth doing. There are only 11 resorts left open in North America this weekend, and after this weekend it will probably be down to 6. 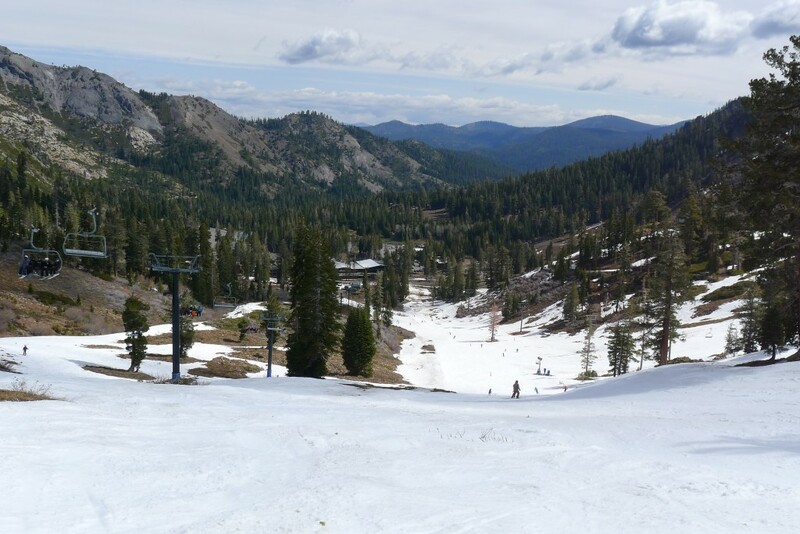 I did a couple of new reviews recently: Northstar, CA and Squaw Valley, CA. Alpine is now owned by Squaw Valley, so some day soon they will probably get interconnected and become one area, but for now they are still separate. Alpine is definitely in need of some upgrades — especially the base lodge — so I hope Squaw starts spending some money on it soon. This entry was posted in Uncategorized on May 11, 2014 by Ron Thompson.